Dheeraj and Dilip were best friends since the age of five. They lived in the same residential complex, attended the same school/ college and had similar extra-curricular activities. It was a great coincidence that they shared the same birthday as well! The last twenty three years were a testimony of their robust friendship, care and trust for each other. They were lucky to have got recruited in the same organization in April 2009, where they always helped each other achieve their goals. They were a perfect example of brothers from another mother. Everything was picture perfect until 2012. Prior to that, Dheeraj and Dilip were earning similar salaries, at equivalent designations and were reporting to the same supervisor. In April 2012, Dheeraj received a double promotion with an option of being transferred to Manchester, UK. He got a fabulous salary offer (almost three times his current Indian salary, given the rupee – pound exchange rate! ).Dilip was promoted as well, although his duties would continue at the Mumbai office. The time to bid farewell had finally arrived! Dilip threw a big sendoff party for Dheeraj, and bid a tearful goodbye to his long- time companion and buddy. As time passed by, both got busy in their own lives and were occasionally in touch with each other. Today Dilip works as a Managing Director in a mid-size IT company in Bangalore. He’s doing very well for himself and is one of the highest paid executives in the IT industry. Unfortunately due to some challenges on the personal front, Dheeraj had to resign from his job and relocate back to Mumbai. He is now on the lookout for a new assignment and is in deep financial crisis. Why was destiny so cruel on Dheeraj yet benevolent on Dilip? Here we have two young lads who have the same educational backgrounds, similar upbringing and equivalent work experience. Although Dheeraj had an initial advantage, how did Dilip move ahead so quickly? Dheeraj got over-confident of his abilities and talents once he moved to UK. He took for granted all gifts bestowed upon him by the universe and became boastful. On the other hand, Dilip had an attitude of gratitude. He was always thankful for his job, finances, personal life and all opportunities that came his way. As we can see, their attitude made all the difference. While Dheeraj reflected ego and thanklessness; Dilip reflected gratitude and gratefulness through his life. As it is said, we reap what we sow! The universe only returns what we plant. The blessings we attract in our lives are directly proportional to the state of thankfulness in our subconscious minds. 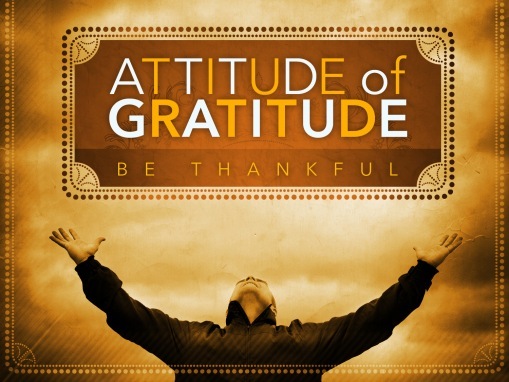 “Start each day with an expression of gratitude” – Napoleon Hill. We must take time each day to search for the smallest of things to be grateful for. 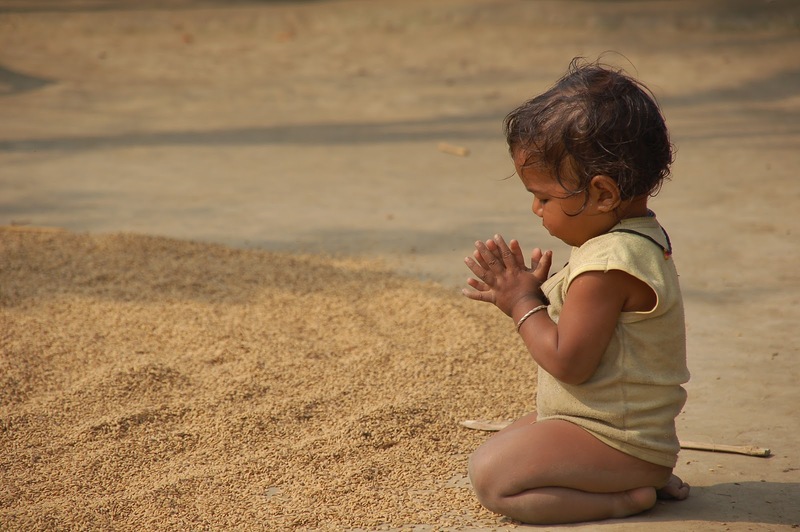 In other words, we must cultivate the habit of being grateful for everything that we possess. As we start doing this, our lives would be filled with immense laughter and joy. Wallace D Wattles said “The grateful mind is constantly fixed upon the best. Therefore it tends to become the best. It takes the form or character of the best, and will receive the best”. 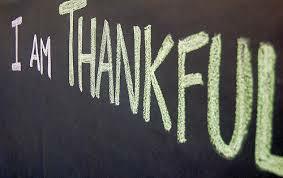 Some people ask, “What can I be grateful for? There are so many problems in my life”. We need to ask ourselves simple questions when we get into the questioning mode. Do we have dinner to eat tonight? Do we have clothes to wear tomorrow? Do we have a roof above our head? Are we blessed with family and friends? If the answer to any of the above is yes, then we are amongst the 25% privileged on planet earth. Can we now have reasons to be ungrateful? Let us be thankful for our finances, health, house, food, family, friends, career, pets, automobiles, clothes, talents… the list can be endless. Let’s unveil the gratitude secret and enter the miraculous realms. What are you grateful for today??? This entry was posted in Self Improvement and tagged abundance, grateful, gratitude, miracles, self improvement, thankful. Bookmark the permalink.